Also, until Oct 15, all orders for 6 or more packs will receive the alternate versions of these Delancy Street Characters for free! WHOO HOOO!!! I <3 Lewis guns!!!!! These are great. I have always wanted to do that scene from the Sand Pebbles. These would be perfect. If only I can find a 28mm version of the gunboat. 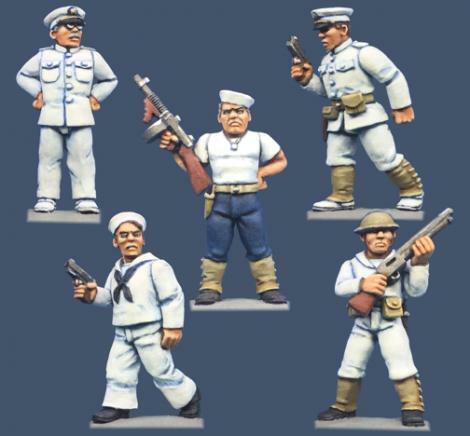 Hey Bob, how do these scale with your older gunboat sailors?I have all of those but would like some of these to add to what I already have. "The Gunboat" is still possible, and you likely wouldn't have to mortgage the farm to get one, either. TVAG's Bob First takes commissions, so drop me a line to TVAG@att.net if you're interested. wooden hulled models currently listed on The Marketplace. 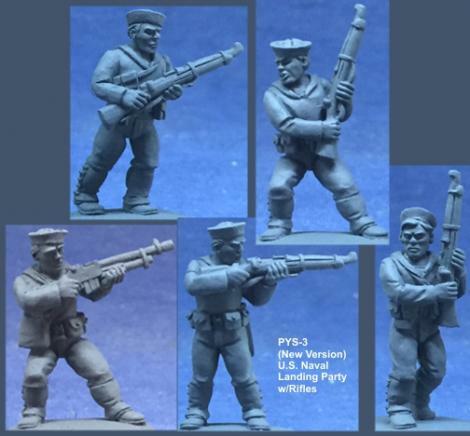 And, yes, clearly Brother Murch has been channeling "The Sand Pebbles" of late, and these Swabs and Anchor-Clankers are just the boys for anyone's remake of it. Oh, and the "Other Bob" (First) is working on his first Junk, too…. The new versions are a tich bigger but not so much as they aren't compatible with the old ones. The style is what I updated. Oh nice… the add on pack is great. 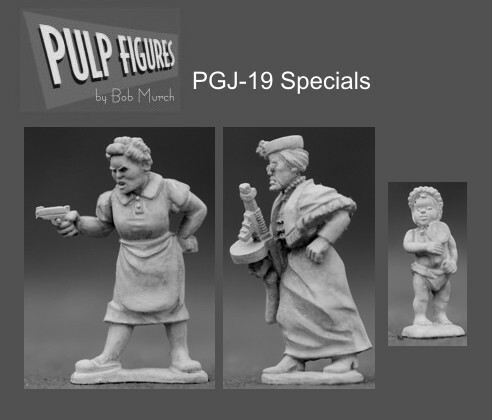 I just purchased all the pulp minis from crucible crush. Will those alternate civilians be offered later in your store? I must be alil more careful with my purchases to not alert the misses…. That officer looks Asian to me. Next up will be the shore leave set. I'm going to have a little fun with this one. Are Warlord Chinese remakes on the horizon? There has to be a couple of shore patrol with night sticks and a sailor holding up his drunk buddy. If you're looking for inspirational images for your "Shore Leave" pack(s), you might want to rerun that segment of the classic film "Mr. Roberts" when that crew comes back from a monster-cut-loose day ashore. 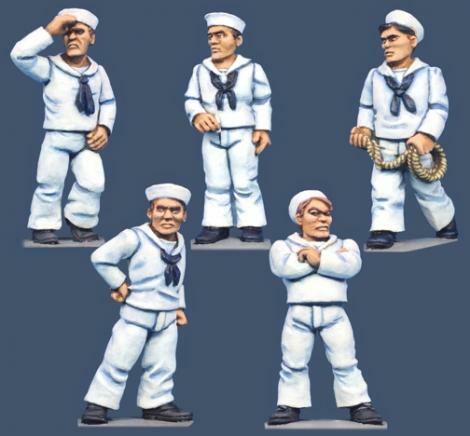 Not just messed up uniforms/lost caps/missing shoes, but wearing Lei's, grass skirts, carrying bottles, the obligatory supporting (when not carrying) passed out mates, and the youngster who's had his first romantic time with the clinging island girl. Of course, if you can sculpt at least one or two beaten faces, so much the better. And how about a HIGHLY disapproving CPO, bulging arms crossed, looking like a thunderstorm about to break, ready to welcome his errant children back aboard? You're right. A couple of packs of such a vignette would be pretty well irresistible! Mega dittos to all the positive comments. 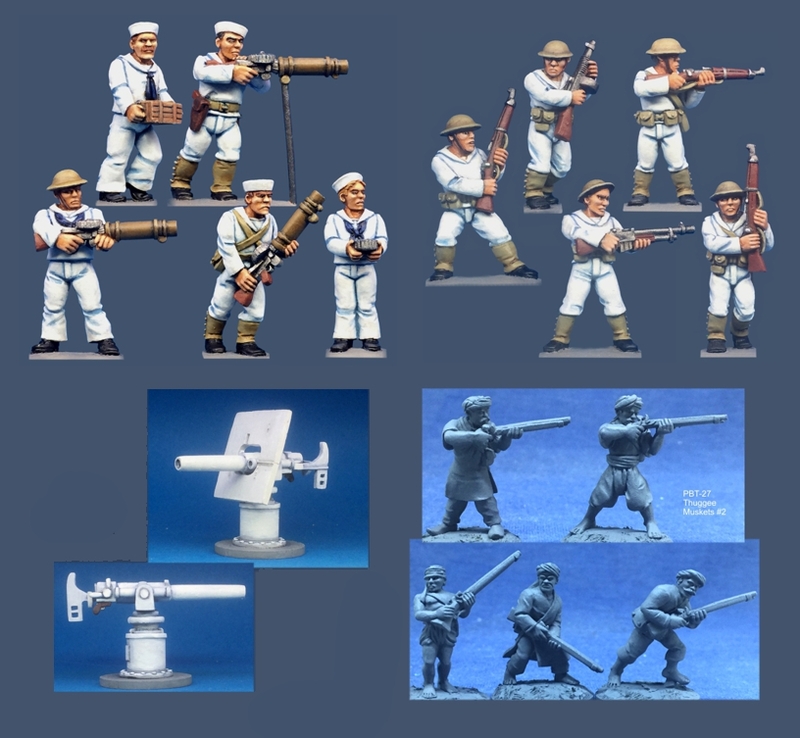 I already have too many of the earlier sailors to get more, well who believes that :) What I like most about the new ones is the ammo carriers for the Lewis guns. In the past I have had to make my own ammo carriers for LMGs. These new ones are great. Such a small thing to make me happy. I do have to register my usual complaint, that the ladies need purses. Where do they keep their extra ammo, and lipstick? Bob, how about making a pack of assorted add ons such as handbags/purses, holsters, ammo pouches etc for the purists to use. I'd love to see a US Navy version of your old Call of Cthulhu police on motorcycle. Think Shore Patrol with a slightly updated bike.